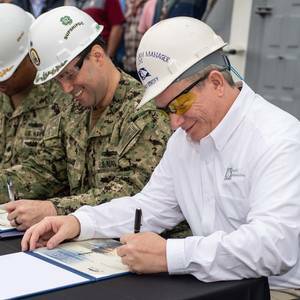 Operator : INGRAM BARGE CO.
Huntington Ingalls Industries’ Ingalls Shipbuilding division delivered the Arleigh Burke-class guided missile destroyer Paul Ignatius (DDG 117) to the U.S. Navy today with shipbuilders, ship’s force and representatives of Supervisor of Shipbuilding, Gulf Coast in attendance.The signing of the DD 250 document officially transfers custody of the ship from HII to the Navy. 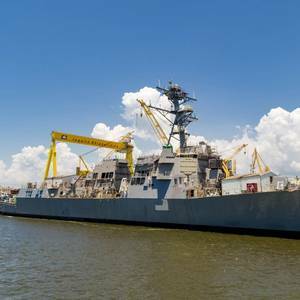 The U.S. Navy has awarded General Dynamics Bath Iron Works a contract to build a fifth DDG 51 destroyer as part of the multi-year award announced in September. 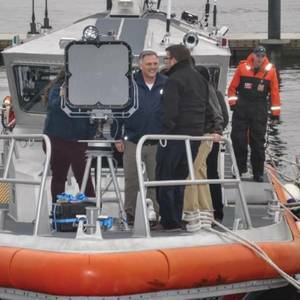 General Dynamics Bath Iron Works is a business unit of General Dynamics (NYSE: GD).In the most recent multi-year competition, BIW was awarded four ships. 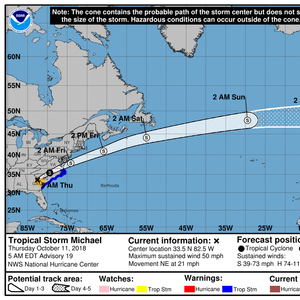 Hurricane Michael, the third most powerful storm ever to strike the U.S. mainland, headed northeast on Thursday, weakened but still set to soak Georgia and the Carolinas after devastating the Florida Panhandle.By 6 AM on Thursday, heavy rain and wind had reached as far north as Charlotte, North Carolina and the Western North Carolina mountains. 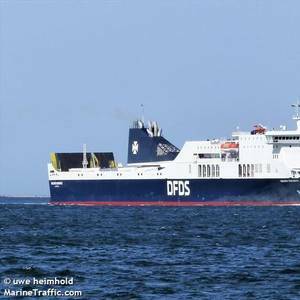 A Lithuanian-flagged ferry carrying 335 people is powerless in the Baltic Sea but no one is reported injured, a spokesman for Danish ferry company DFDS told Reuters. "There was vibration and there was smoke, but no fire was noticed," the spokesman said, contradicting earlier reports from the Lithuanian military of a fire on board the vessel. 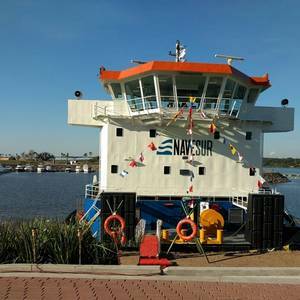 Paraguay’s Tsuneishi Shipyard, a subsidiary of the Japanese firm of the same name, recently delivered the powerful towboat Tebicuary 3 to her owners Navegación del Sur S.A. (Navesur) in June of 2018. 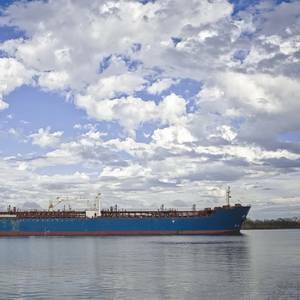 The new vessel is a near sister-ship to the 2015-delivered Ceasar Primo for a different owner. 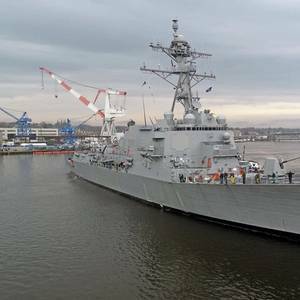 Huntington Ingalls Industries’ Ingalls Shipbuilding division launched the Arleigh Burke-class (DDG 51) guided missile destroyer Frank E. Petersen Jr. (DDG 121) on Friday.Frank E. Petersen Jr. was translated via Ingalls’ rail car system to a floating dry dock. Once on, the dry dock was moved away from the pier, and it was ballasted down to float the ship. 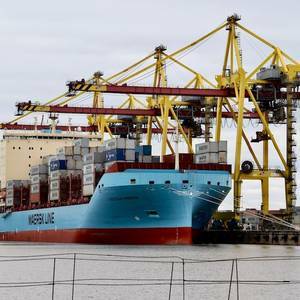 Beijing surprised oil markets with threats to levy tariffs on imports of U.S. crude oil, natural gas and other energy products on Friday, just as China has risen to the top of the list of importers of oil from the United States.China responded to $50 billion in tariffs imposed by U.S. President Donald Trump with a similar amount of levies on a variety of U.S. goods. 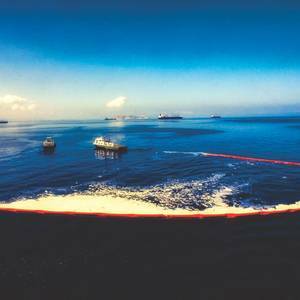 Emerging spill response trends fit into two big categories: technology and a combination of economic and social forces. Both will shape what comes next.Florida’s stunning Tampa Bay stands out as exactly the kind of place where you have to think about hazardous materials emergencies.